WhatsApp on iOS and Android both support GIFs and allows you to send GIFs to friends from Giphy. WhatsApp, despite of being a widely popular chat app, is one of the most boring and plain apps designed so far. So in order to keep the platform engaging and interesting, the chat company keeps on adding new features to the platform. WhatsApp offers several ways to spice up your boring chats. We recently saw Stickers coming to the app. The chat app allows you to send voice messages, videos and images. And then there is GIF support. WhatsApp allows you to send GIFs across chats. GIFs are extremely popular and shared by lots of internet users. They are more emotive than photos or texts that we share. GIF library has more options to react for a single situation than emojis or sticker packs. Also, GIFs are easy and doesn’t take too much thought. These and there are many more reasons why a lot of people like to share GIFs on WhatsApp than Stickers, emojis or even texts. WhatsApp on iOS and Android both support GIFs and allows you to send GIFs to friends from Giphy. But do you know that WhatsApp also allows you send your WhatsApp videos as GIFs. 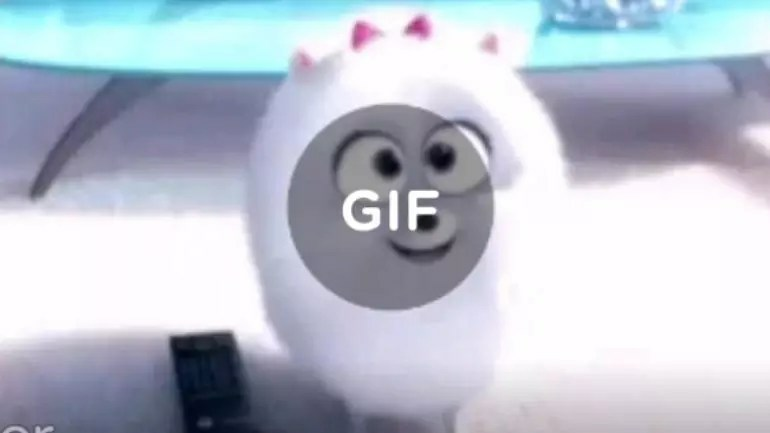 So you can create a GIF out of the funny video of a cat that you received on your college friend’s chat group. GIFs are much smaller in size than videos. — Tap the attachment icon given inside the chat box. — Select the video that you want to make GIF of. — By default, WhatsApp shows you a preview of the video along with the option to trim the video. Tap on the box reading GIF. — WhatsApp will automatically convert your video into a GIF. — Start a new message in WhatsApp. — Tap on the emoji icon given in the chat box. — Tap on the GIF button at the bottom. — Select the GIF you want to send and tap on send button. You can also add caption to it if you want.